The skin around the eyes can be 1/10th as thick as the skin on the face. Fewer oil glands exist around the eyes; hence this part of the face is more likely to show premature signs of ageing. Inherited conditions, lack of sleep and exposure to UVA/UVB can contribute towards ageing around the eye area. Avoiding excessive sun exposure and using eye creams are the keys to preventing the signs of ageing. Puffiness caused by allergies and alcohol consumption can be clearly visible and evident as to just how good or bad you’re feeling. It is, therefore, necessary to pay special attention to the eye area. It is always best to choose products specifically formulated for the eye area. While most face products would not actually cause harm to the delicate skin around the eyes, they are not correctly formulated for this specific area. A prime concern for the safe use of products around the eyes is in the allergy-prone skin types with sensitive eyes. Some ingredients contained in face products may be slightly irritating or ineffective. Eye creams contain liposomal ingredients to target specific concerns around the eyes, like dark circles and puffiness. To be applied directly after the cleansing routine. 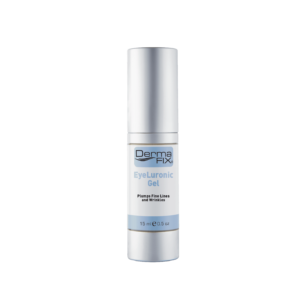 DermaFix EyeLuronic Gel, wrinkle attenuator can be used on and around the eye area helping to plump-up fine lines and wrinkles. DermaFix Corrective Eye Complex, rich in stem cells helping to prevent and correct the lack of firmness around the eye area whilst assisting in epidermal regeneration. 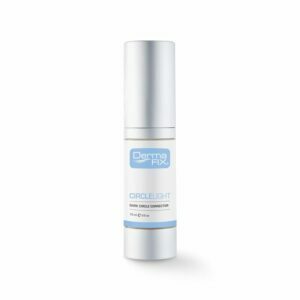 DermaFix CircleLight, 24% peptide-based, assisting in the improvement of dark circles, puffiness and congestion. 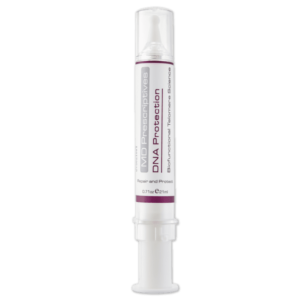 MD Prescriptives DNA Protection protects the end of the chromosome from deterioration, ageing and improves cell longevity.